LOS ANGELES, May 27, 2011 /PRNewswire-USNewswire/ -- Celebrities and poker stars came together to play in The H.O.M.E. Foundation's Celebrity Casino Royale poker tournament on May 24 at Avalon Hollywood, raising money and awareness for wonderful charities including spcaLA and the I'm Too Young For This Cancer Foundation. Professional Poker Player, WSOP Winner, Author and "Celebrity Apprentice" star Annie Duke came out ready to play poker and raise money for charity. Celebrities battled against Annie Duke with the casino crowd cheering her on. Unfortunately, Annie Duke did not make it to the Final Table, getting outplayed by celebrities including Dancing with the Stars alumna Shannon Elizabeth and ABC's "Off the Map" star Nicholas Gonzalez – both made it to the Final Table. WWE Superstar Mike "The Miz" Mizanin, a natural crowd pleaser, threw down good hands, along with other celebrities including Actors Benito Martinez, Michael Gladis, Carl Weathers, Josh Henderson and Corey Feldman, among others. Some reality stars fared well against the poker pros including "Survivor" winner Judson Birza, "Real Housewives of Orange County" stars Alexis and Jim Bellino and "Amazing Race" contestants and Pro Poker Players Maria Ho and Tiffany Michelle. But at Celebrity Casino Royale, the real winners are the benefiting charities – spcaLA and the I'm Too Young For This Cancer Foundation. According to Frank Verdugo, president of The H.O.M.E. Foundation and event host, the event raised much needed funds and awareness for amazing causes while bringing together pokers stars and celebrities for a night of entertainment. The H.O.M.E. Foundation committed to raising $200,000 for the charities and is well on its way achieving that goal. Celebrity Casino Royale featured a casino area including blackjack, roulette and poker. Poker stars, celebrities and VIP guests competed in the poker tournament for a chance to win fabulous grand prizes including Original Steve Soffa Watches, a Buy In to the WSOP and a $13,000 European Vacation, among trips to Dublin, Scotland, Italy and Costa Rica. Guests were treated to musical performances by FATMAGIC, iHEARTStereo and Shancey. The H.O.M.E. Foundation thanks its friends and sponsors including Andrew Lakey, Ayala 1972, Bellanza Med Spa, Biz Marketing Machines.com, Charity Lives, Delta, Four Seasons Resort Punta Mita Mexico, Kalia Living, My Mixed Nuts, and Steve Soffa (the official bracelet designer for the World Series of Poker). LOS ANGELES – MAY 10, 2011 – The H.O.M.E. Foundation, an organization dedicated to helping charities during these tough economic times, announces its commitment to raise $200,000 this year for spcaLA and I’m Too Young For This Cancer Foundation. These two charities were identified and selected out of an extensive list of applicants for their unparalleled dedication to improving our community and saving lives. Each organization is working closely with The H.O.M.E. Foundation to develop specific awareness, education and fundraising programs designed to increase visibility and support for their causes. The H.O.M.E. Foundation is kicking off their support for spcaLA and I’m Too Young For This Cancer Foundation by hosting Celebrity Casino Royale at Avalon in Hollywood, CA on May 24. The star-studded, red carpet casino event will allow guests to play side-by-side with celebrities and poker stars such as the #1 female poker player in the world, Annie Duke. 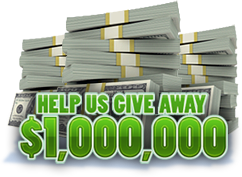 The event will attract many hot celebrities all playing popular casino games to benefit these two charities. Those who make it to the Final Table in the poker tournament will have a shot at the Grand Prize: $10,000 Buy-In to the world series of poker in Las Vegas or a romantic five night getaway to the Four Seasons in Punta Mita, Mexico. For more information on Celebrity Casino Royale and to purchase tickets, visit http://www.homefoundationraffle.com/celebrity_casino_royale.php. The Helping Others Means Everything or The H.O.M.E. Foundation is an organization dedicated to helping its family of charities during these tough economic times through added incentives via luxury raffles and high profile celebrity events. The H.O.M.E. Foundation has received support from celebrities like Zac Efron, Snoop Dogg, Quinton “Rampage” Jackson, and Michael Strahan, among many others. Its signature program, The H.O.M.E. 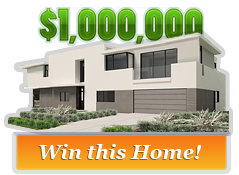 Foundation Raffle, offers participants a chance to win a $1 million fully-furnished dream home and other luxury prizes. Raffle tickets can be purchased at www.HOMEFoundationRaffle.com. Proceeds from the raffle benefit The H.O.M.E. Foundation’s family of charities, including spcaLA and I’m Too Young For This Cancer Foundation. 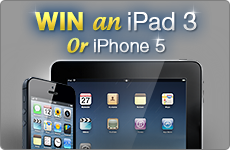 Like us on Facebook and follow us on Twitter for a chance to win other exciting prizes! You can reach The H.O.M.E. Foundation by phone at (855) 288-HOME (4663).